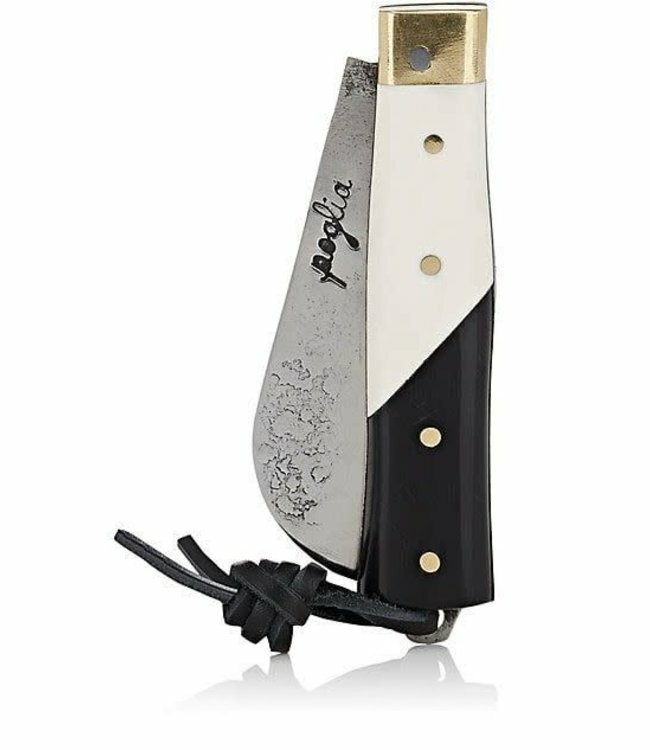 Hand-forged from repurposed steel, Poglia's pocket knife showcases a black buffalo horn and ivory cow bone handle finished with brass details. The blade is not stainless and will gradually build up a patina with use. Black leather strap at bottom. Steel, buffalo horn, cow bone, brass.